Present-day discussions about “traditional Islam” bear relevance to the crisis of identity arising from Muslim encounters with modernity, as well as the problems of political Islamism, jihadist violence, and the cultural hegemony of Islamists. Traditional institutions of Islamic learning, such as Al-Azhar in Egypt and Zaytouna mosque in Tunisia, have abided for centuries. Yet their role has been regressing for decades — partly due to extremists’ challenge to their authority, and particular due to Arab regimes’ efforts to dominate or constrain them. Al-Mesbar 137th monthly book, Traditional Islam: Historical Formation and Current Challenges (May 2018), examines the jurisprudential and ideological underpinnings of traditional Sunni Islamic institutions, as well as the pressures brought to bear on them by Islamists. 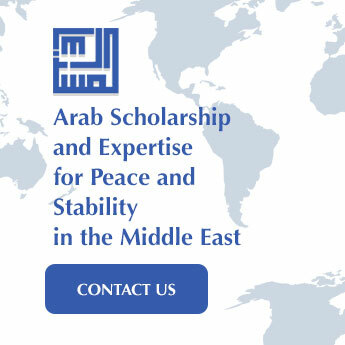 It traces the historical trajectory whereby conflict over interpretations of Islam led to the emergence of distinct jurisprudential and ideological schools, which in turn won patronage from state and other powers and yielded a layered system of Islamic leadership. The book shows how traditional Islamic religious schools formed, developed, and congealed. It calls for a new narrative to understand how Islamic tradition came to be what it is, and how to chart a new path for the legacy of this tradition into the future. Islamic history reflects the interplay between ideological-jurisprudential development and a range of sociopolitical transformations. As one of the book’s contributors notes, “The formal compilation of the Sunni canon [mudawwana] was formed as an integrated structure in the sociopolitical contexts that prevailed in the stage of tadwin, before it became a dominant authority within the culture starting from the solidification stage.” The development of Sunnism — also known as “Ahl al-Sunna wa ‘l-Jama’a” — was a prolonged process of jurisprudential debate and sociopolitical competition that eventually settled. Ahl a ‘l-Sunna Wa ‘l-jama’a are those who embraced the prophetic approach. It is a broad designation that extends across the history of the Islamic “Ummah,” from the beginning of the Prophet’s mission (Bi`thah) to the present day. The community is not bound by geography, but rather extends to every Muslim committed to the prophetic approach and method of transmission and imitation. Islamic religious establishments have long issued fatwas (formal legal opinions), and claimed a certain authority to do so. At the same time, there have always been non-“muftis” who issued their own fatwas without qualification or certification. The chaos afflicting Islamic religious life today warrants a return to the institutions of traditional Islam, particularly in light of the dissemination of fatwas calling for murder and takfir (declaring Muslims to be infidels). The book pays special attention to the venerated traditional institutions of Sunni Islamm — Al-Azhar Al-Sharif, Zaytouna, and Al-Qaraweyeen. It traces their historical roles as well as the challenges they have faced from rival groups and political authorities. Some of these institutions won back lost influence following the protest movements witnessed in the Arab world in 2011. Notably, Al-Azhar issued a set of documents, one pointing to the need to renew religious discourse. Perhaps the greatest danger facing traditional Islam stems from “political Islam” — an issue explored in two of the book’s studies. 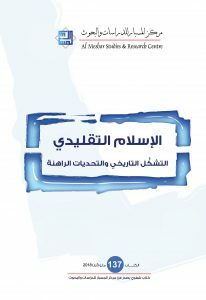 Al-Mesbar center would like to thank all researchers who contributed to the book — in particular, Rita Faraj, who coordinated the contributions.